At Modern Consumers, we support innovative and useful projects from KickStarter and IndieGoGo. This time, we came across the Food Cycler you can use at home and found it worthy to share with you. Did you know that each person wastes about 475 pounds of food waste every year? Shocking, huh? This is exactly what the creators of the Food Cycle wanted to work on. Instead of wasting it, why not make compost of it? That’s more eco-friendly, an we modern consumers love eco-friendly! Right? 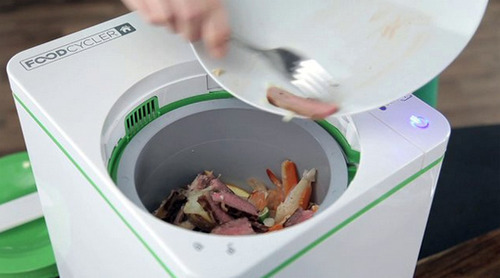 The Food Cycler sanitizes all the rests of food, prevents the food from smelling bad and turns it into toxic-free, organic compost. The device will fit perfectly among your other kitchen devices and within 3 hours, you’ll get perfect compost. Getting curious? Check out the video below or click here to visit the Food Cycler IndieGoGo page.